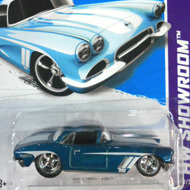 244/250 is part of the HW Showroom series and the 2013 Super Treasure Hunt set. 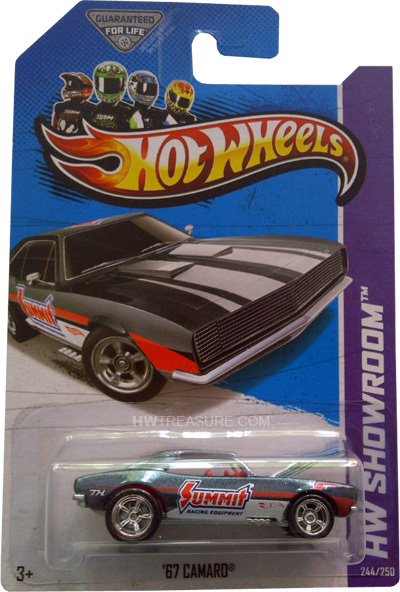 The Camaro sports grey Spectraflame paint with white, red & blue stripes and graphics on the sides and top plus “SUMMIT RACING EQUIPMENT”, the Hot Wheels logo, and “TH” on the sides. 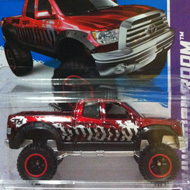 It has clear windows, a red interior, Real Rider 5-spoke mag-style wheels, and an unpainted Malaysia base. The sports car debuted in the Hot Ones series in 1983. This is its 3rd times as a T-Hunt and was previously in the 1995 and 2005 sets.